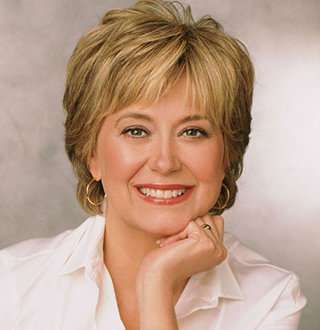 Home » Entertainment » Jane Pauley Speaks About Her Health – From Illness And Sickness She Suffered! Well, you probably know the anchor and correspondent from the CBS' Sunday Morning, Jane Pauley. She is quite famous for her reporting skills, beauty, and her blissful relationship with her husband. But, were you aware of her struggle regarding her health? If not, no worries! We'll be shedding some light on the obstacles Jane faced in her life due to her health. After around 30 years of leaving the NBC's Today, Jane made her comeback with CBS's Sunday Morning, and she still looked fresh and beautiful with her simple, yet sleek, short haircut and that sweet smile. But did you know, that the ever-smiling face once shocked her fans and colleagues by revealing that during the leave from NBC's, Today, she suffered from depression and bipolar disorders back in 2001? Jane even authored an autobiography named 'Skywriting: A Life Out of the Blue' that got published in 2004 and there described her struggle with the illness. According to an excerpt from her book, Jane got hives on her skin since she was seven years old. The hives used to appear and disappear itself, timely. However, in March 1999 while Jane was out on vacation with her husband, Garry Pauley and her three children, Ross, Rachel and Thomas, the hives reappeared permanently. Jane started having red itchy patches on her pads of fingers, feet, and most disturbingly on her face. Now because of that, Jane faced a problem appearing in front of the camera. To cure the hives, Jane then got subjected to the use of steroids. The medication ultimately gave the desired effect by subsiding hives, but it also left a side effect by triggering the mood destabilization of Jane. She deviated from being highly energetic to depressed and started procrastinating things, being unable to concentrate. Jane's body even became respondent to the antidepressant which frustrated her doctor. After a year of undergoing treatments, Jane got diagnosed with a bipolar disorder. The sickness only got controlled when Jane's body responded to the lithium treatment and stabilized her mood swings. Jane started working on her memoir about how the childhood hives ended on her psychiatric hospitalization in 2001. But, soon after she recovered; Jane went back to work in September 2001 instead of working on the book. Meanwhile, talking about her battle with the disease during an interview with Today on 31st August 2014, Jane quoted that the condition changed her life and is more ready to grab success in her life. As of now, Jane works as a correspondent and an anchor for CBS's Sunday Morning and spends quality time with her husband by sharing a net worth that estimates to be $40 million. Pauley has been announced to anchor the special. Furthermore, ten -times Emmy winning Rand Morrison was announced as the executive producer. The show will also feature correspondents profiling top entertainment figures, taking an in-depth look at the world of art, architecture, and design, and more. See More: Cancer Victim Julia Baird Savors Married Life With Husband & Children, Facts! The high-profile list of correspondent includes the likes of Lee Cowan, Rita Braver, Mo Rocca, Tracy Smith, and Martha Teichner whereas the program’s contributing correspondents enlists: Ted Koppel, Serena Altschul, Nancy Giles, Luke Burbank, David Pogue, Conor Knighton, Faith Salie, Steve Hartman and Anthony Mason. However, specific segments have not been revealed yet. First aired on 28 January 1979 with Charles Kuralt as the anchor, then followed Charles Osgood in 1994 who held the position until he stepped down in September 2016, until finally passing the torch to Jane Pauley, the special show will be one heck of an emotional ride for NBC and its viewers!